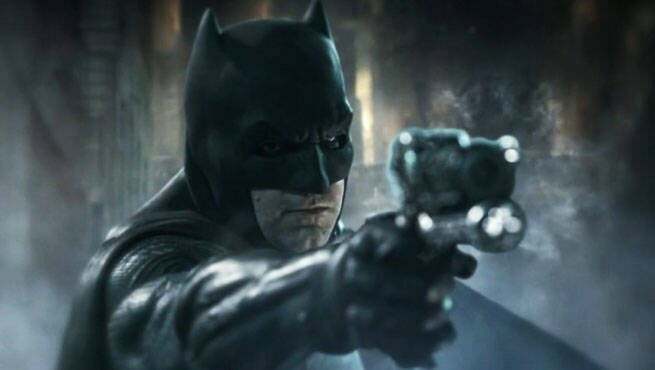 As he leaves the company, outgoing Warner Bros. creative chief Greg Silverman appears to have given comic book fans something to look forward to: a tentative release window for Ben Affleck's The Batman. During an exit interview with Deadline, the producer -- who took the top creative spot at Warner Bros. in 2013 -- said that he planned on moving outside of the entertainment industry to pursue other kinds of investment opportunities, but that he wouldn't have left Warner Bros. if he didn't believe they were set up for success. Naming off a number of titles planned for next year, Silverman said that 2017 should be bigger for the company than 2016 was -- and this year was a significant improvement over the financial challenges of 2015. Then, in what will no doubt be the most reprinted section of the interview, he laid down what's to come post-2017, and seemingly confirmed that The Batman, Ben Affleck's Dark Knight-centric solo movie, is planned for a 2018 release. Earlier today, Affleck was quoted as saying that everything was on track to shoot in the spring of 2017. That's the closest he's come to committing to a specific date, since he has repeatedly stated that he'd rather take more time to develop a script he's happy with than rush it into production. Still, both the studio and his co-star/antagonist Joe Manganiello have been openly discussing a 2017 filming date and a 2018 release. It's also rumored that the second Justice League film has been put on the back burner to make room for The Batman in the release schedule, which presumably gives the studio the added bonus of extra development time for the VFX- and post-production heavy Justice League sequel. Justice League will open in theaters on November 17, 2017. The Batman is rumored to release in Fall 2018.